A simple, bright and stylish card. 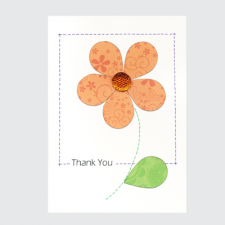 With hand drawn stitching and large diamonte, this Thank You card..
A simple, bright and stylish card featuring hand drawn stitching. With a ruler and apple, this is th..